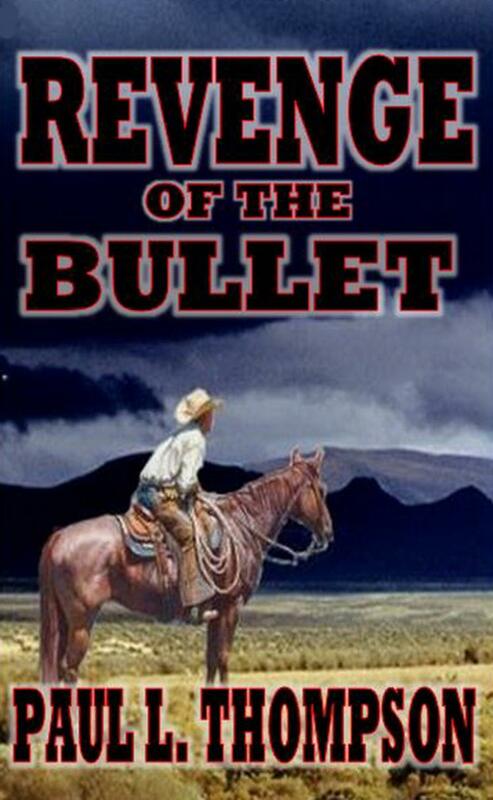 12,000,000 Western Readers Can't Be Wrong—Paul L. Thompson Releases "Revenge of the Bullet"
Award-winning Western author Paul L. Thompson has achieved a crossover bestseller with his new release "The Revenge of the Bullet." The book, released last week, has achieved outstanding first week sales. "Revenge of the Bullet" available now from Amazon. MIDLOTHIAN, Texas - Feb. 1, 2017 - PRLog -- Outlaws Publishing, LLC announced earlier today that their latest Paul L. Thompson Western release has achieved great success—"Revenge of the Bullet" is quickly hurtling towards the number one position on Amazon at the speed of light. "Revenge of the Bullet" tells the story of Burton and Ida Campbell who stood by their wagon as four young killers rode in slinging bullets. Both their fathers were killed. Burton pushed Ida under the wagon and lay on top, protecting her. With blood dropping down the side of his head, the outlaws thought them dead. When the killers left, their fathers were buried before they continued their trip to a ranch their fathers had purchased in the New Mexico Territory. They had no hope of ever catching the killers, but strange events proved otherwise. While in Raton, New Mexico searching for the killers, they stopped long enough to get married. Now to finish the job they came to do. As the two of them seek revenge—the killer's days are numbered. This new Paul L. Thompson novel is the 9th Outlaws Publishing novel in a row to achieve bestseller status. The company, which is currently having great success with A.H. Holt, has shown that Westerns have a strong and vibrant audience of readers.